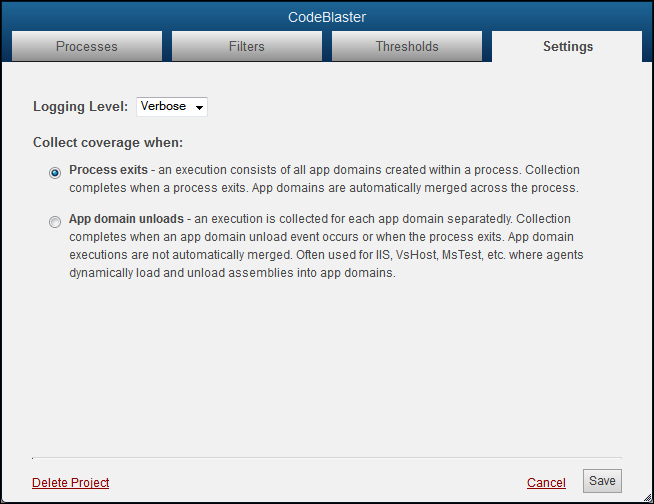 App domain unloads - an execution is collected for each app domain separatedly. Collection completes when an app domain unload event occurs or when the process exits. App domain executions are not automatically merged. Often used for IIS, VsHost, MsTest, etc. where agents dynamically load and unload assemblies into app domains.